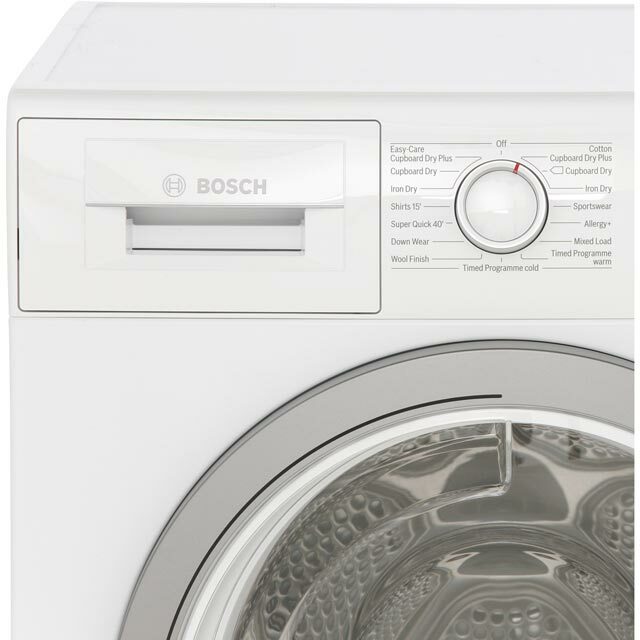 The Bosch WTN85250GB Tumble Dryer comes in a stylish white colour. 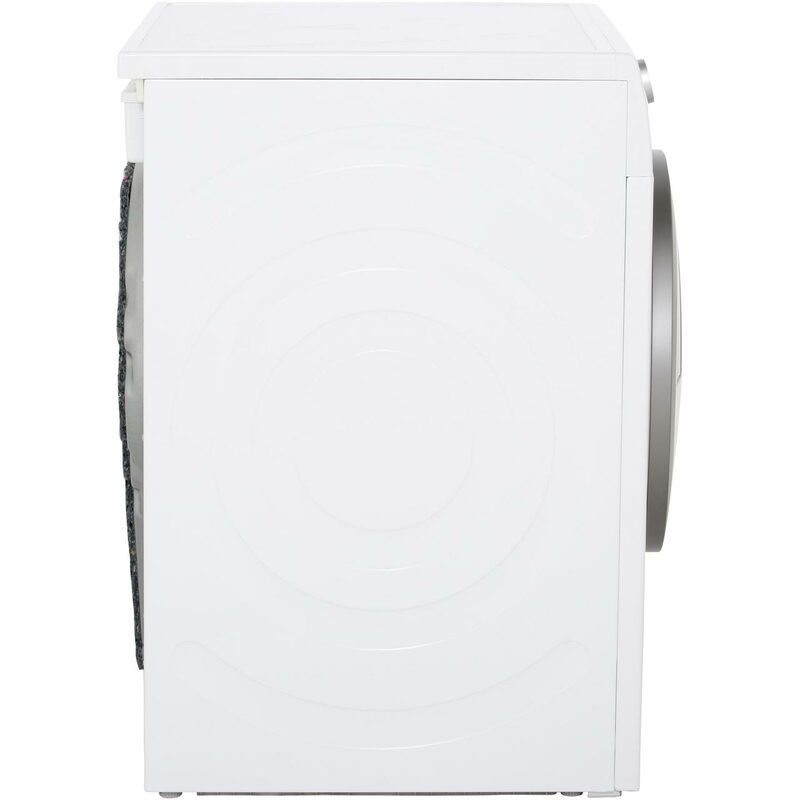 The WTN85250GB has a B energy rating. 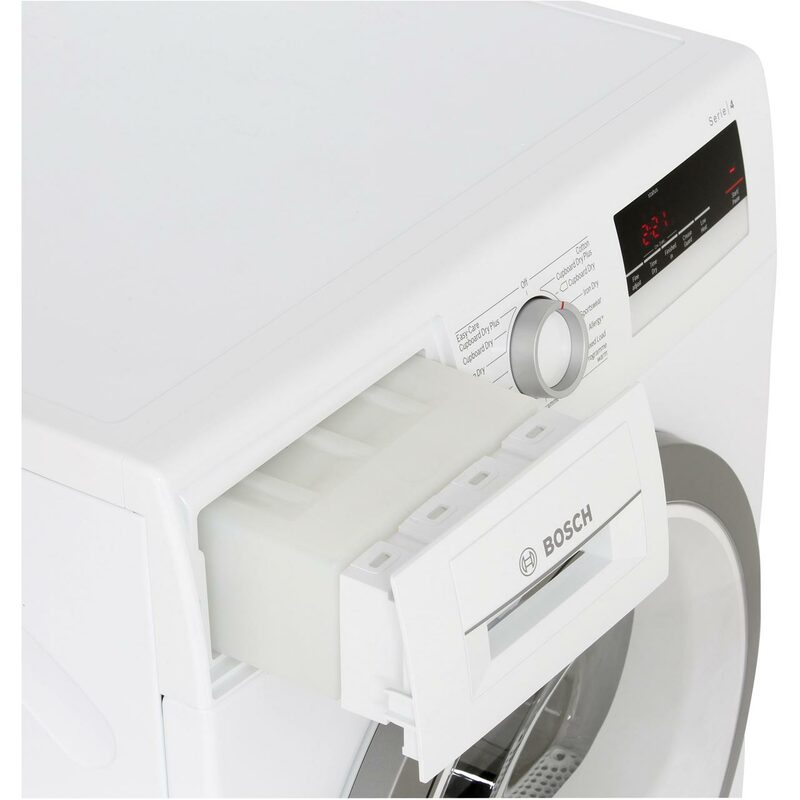 The Bosch WTN85250GB has easy to use features to ensure that you can get drying in no time. 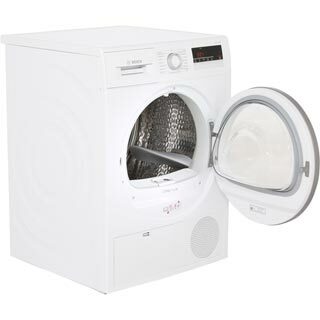 This Tumble Dryer has a 8Kg drying load. If you bear in mind that every 1Kg is able to tackle around 5 t-shirts. The Bosch WTN85250GB Tumble Dryer runs at 64dB. "Dries quickly. Clothes smell fresh. Reassuringly good build quality. Easy to use controls. Hate the condenser water collection drawer - spout doesn't permit you to completely drain the container - will be plumbing it into the main waste to get around this gripe. Lost a star because it will cost me extra money for a waste pipe y-connection fitting and a plumber." "Really Happy with the dryer we ordered. Delivery was very fast and easy. First time using AO will be using again. " "This is a stylish, quiet, versatile dryer, competitively priced - ticks all the boxes." "It's got loads of programs and it's huge. Minus one point as it has a touch screen like start button which means it can take a couple of goes to get it to start. " 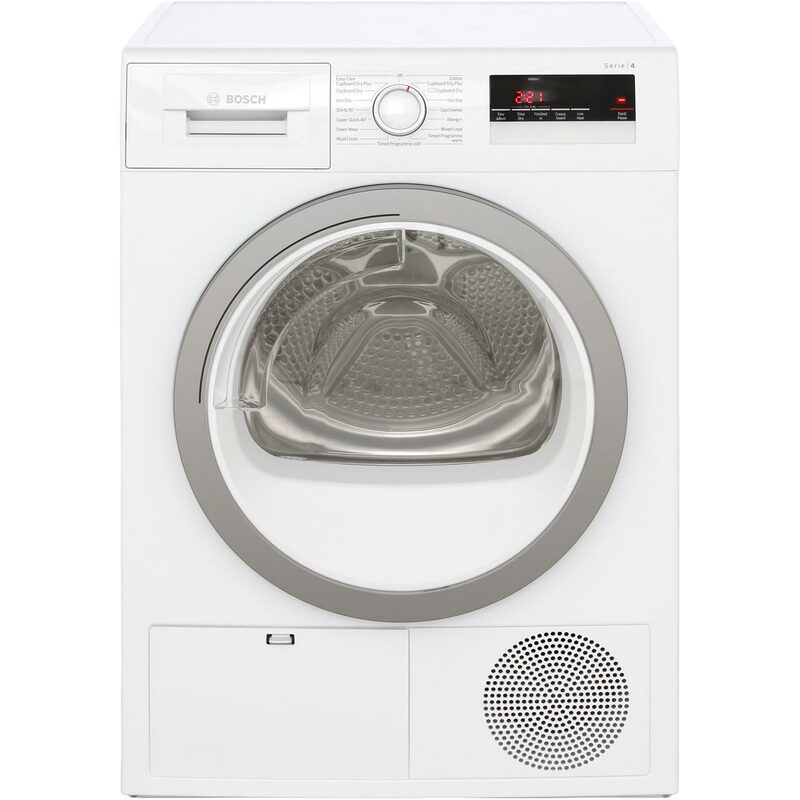 "This product is so quite with a multitude of settings to suit all our family needs. 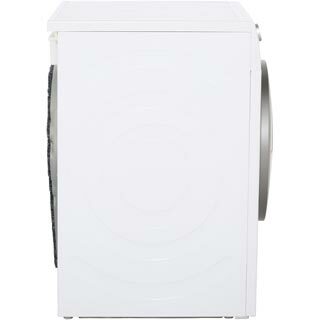 Large 8kg drum Great for a family of four with teenage daughters. We have a Bosch washing machine which compliments the dryer perfectly. Bosch are renouwned for reliability and performance. 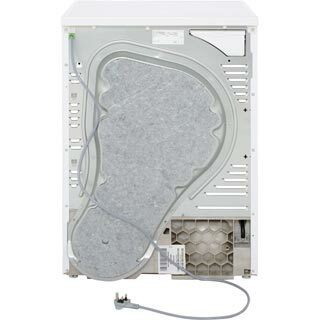 I Thoroughly recommend these products." 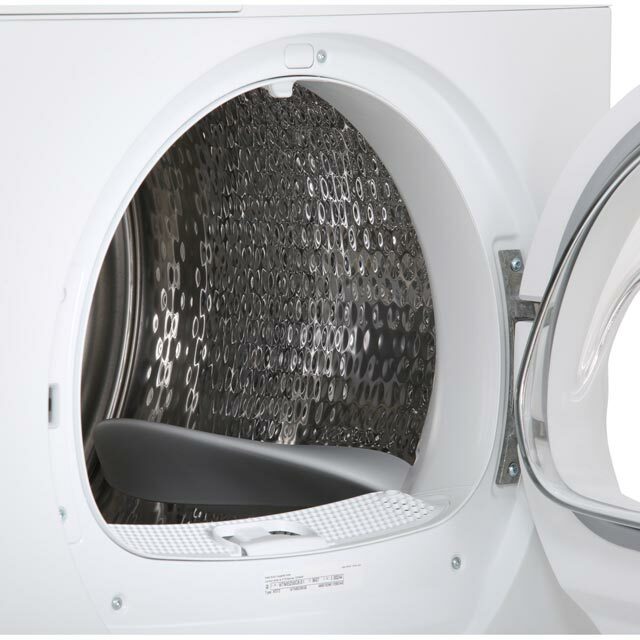 "Once I had got used to the touch controls on this dryer, it has been a joy to use. It is relatively quick and much quiter than the older dryer that we used to have in the house. 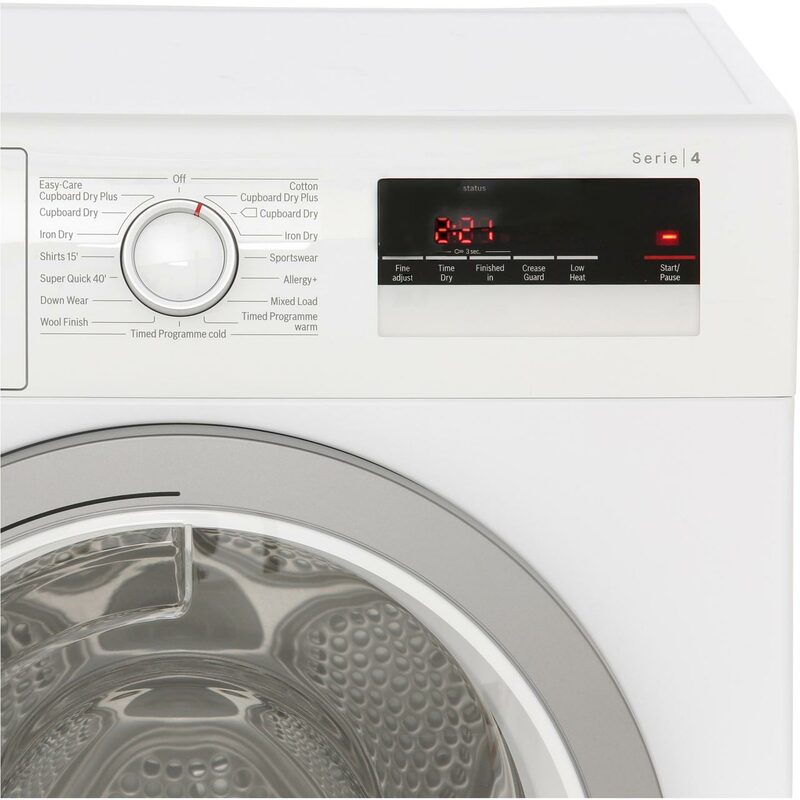 You can select Autotmatic modes (which detect the dryness) and also use a manual timer mode (for those loads that still feel a little wet). "